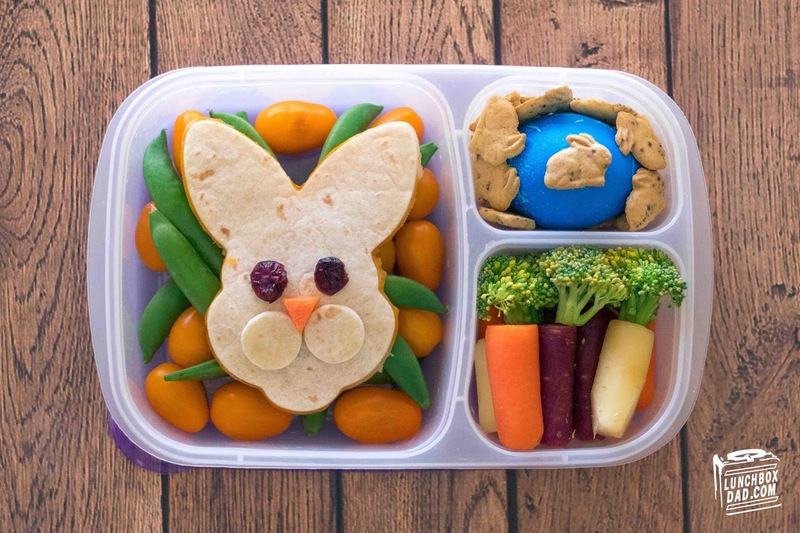 Lunchbox Dad: Easter Bunny School Lunch Recipe Idea! Ingredients: Flour tortillas, raisins, cheese, grape tomatoes, snap peas, broccoli, baby carrots, dyed hard-boiled egg, rabbit shaped crackers or cookies. 1. 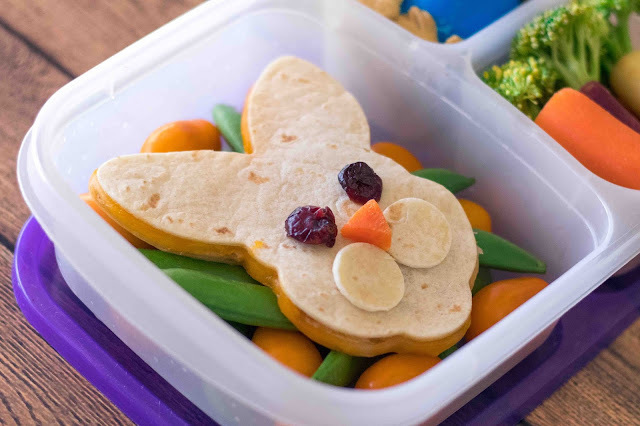 Use a cookie cutter to make a rabbit shape out of two flour tortillas. Place on top of each other and stuff the middle with cheese. Melt in microwave. 2. In main compartment arrange orange grape tomatoes and snap peas. Place rabbit on top. Create face using two tortilla circles, raisins, and carrot triangle. Use a little cream cheese to make them stick if you would like. 3. 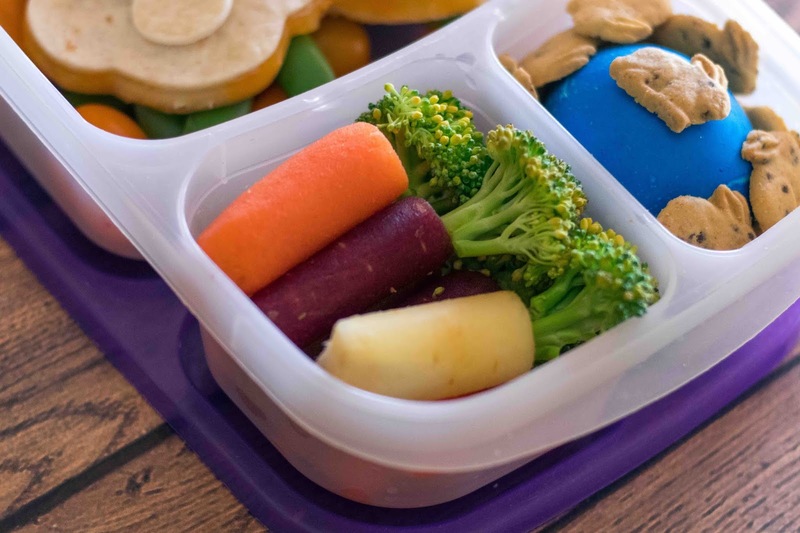 Cut little pieces of broccoli and places them above baby carrots in the side compartment to make it look like the carrots are growing. 4. Place dyed and hard-boiled egg in side compartment. Surround with rabbit shaped crackers. I hope you and your family have a happy Easter! 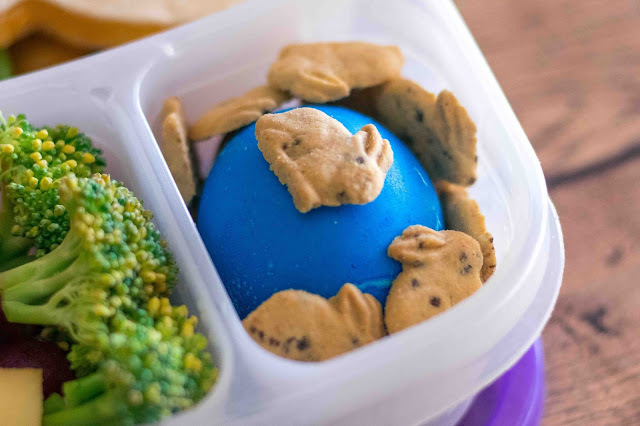 Pin this Easter Bunny Recipe!